Location: 50 metres NE of Bycliffe House lying N-S in an area of crushings. 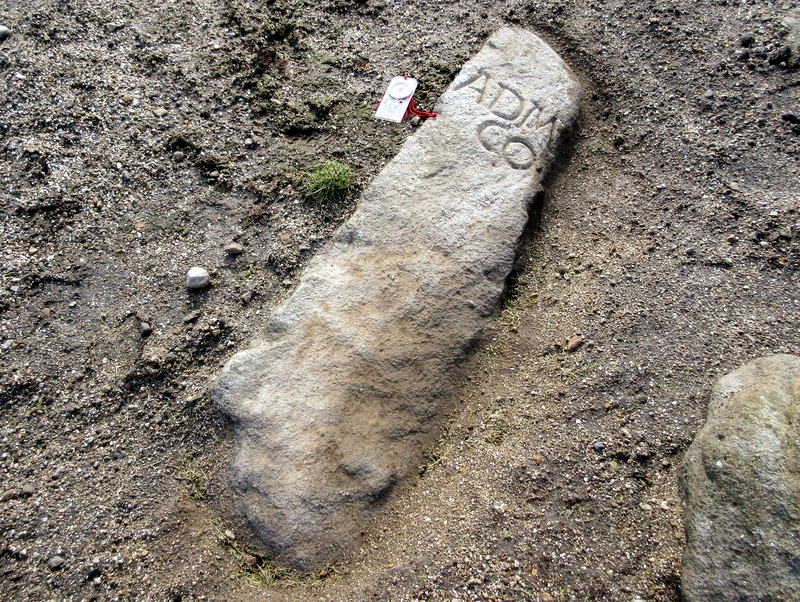 This is a well carved pillar stone, about 120 cm long and 30 cm wide lying on its back. It lies to the south of the Bycliffe Vein. 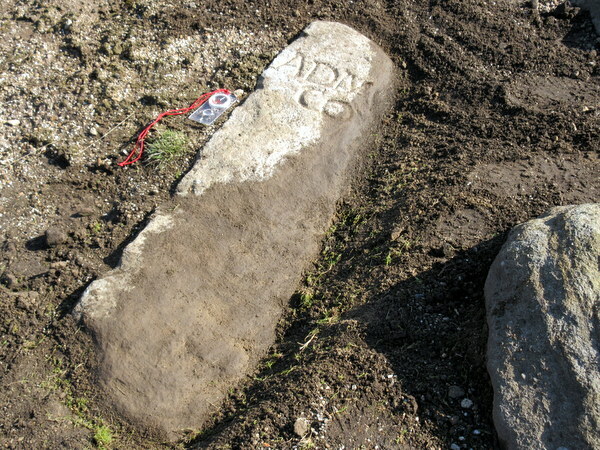 It was found by Matt Town and colleagues of Northern Archaeological Associates Ltd undertaking work on behalf of the Yorkshire Dales National Park and English Heritage. The same initials can be found on Meer stone 66.